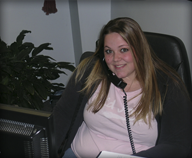 Customer Support | Air Control Heating & Electric, Inc.
We are here to help. Air Control is available 24 hours a day, 7 days a week, 365 days a year. Emergency HVAC repairs happen! Air Control is equipped and available to your family at any time. We offer a wide variety of service in HVAC and Electrical. This page explains how to get customer support. For questions please visit our Frequently Asked Questions page or contact us today at (509) 924-0018 for immediate assistance.